Problems have been spread out all over the course but the two brush corners at 5A and B have definitely been influential. 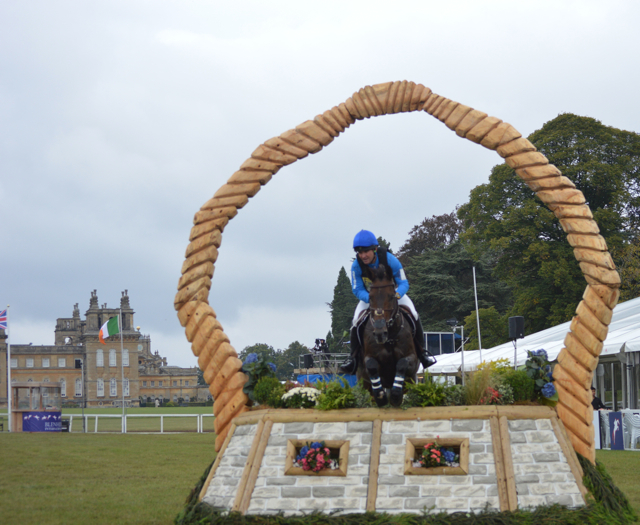 First to go for the USA, Jules Stiller was having a great go on Sintra BK but picked up a 20 two fences from home. Jessie Phoenix looked to be having a super ride on Pavarotti everywhere we saw them, and came home clear with about 17 time penalties. Clark Montgomery and Loughan Glen looked fabulous everywhere we saw them, and Jess told me Glen pulled up super. They moved into a brief lead with the fastest time of the day at that point, but sadly it was short-lived; Jean Teulere rode Matelot Du Grand Val a few horses later and although they both finish the day on the same score Jean Teulere was 0.4 faster and therefore closer to the optimum time and thus move into first place overnight so far. 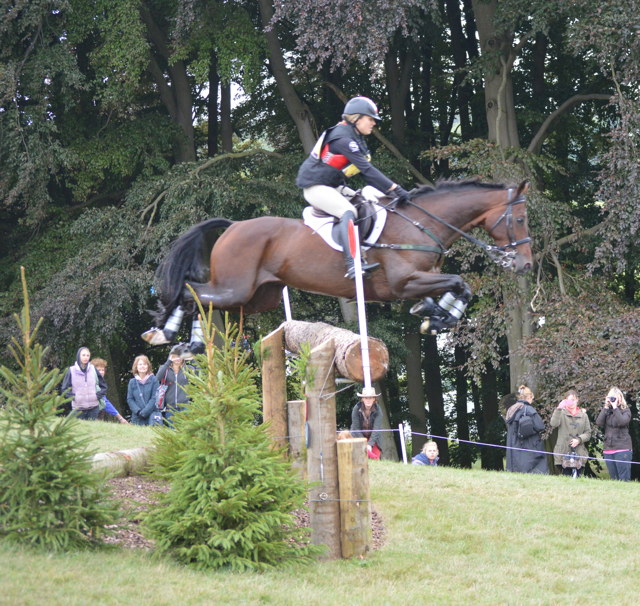 Much more from Clark later, and of course the other American riders, but rushing off to catch Megan who goes shortly. 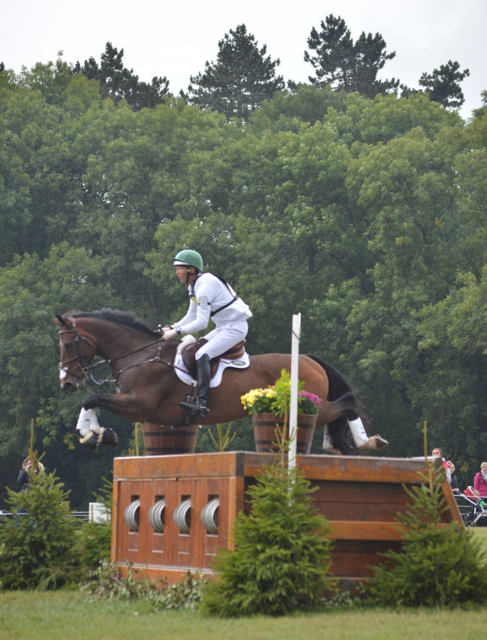 Best of luck to Team USA at the Fidelity Blenheim International Horse Trials – Go Eventing!